Hello Kat Scrappiness fans! 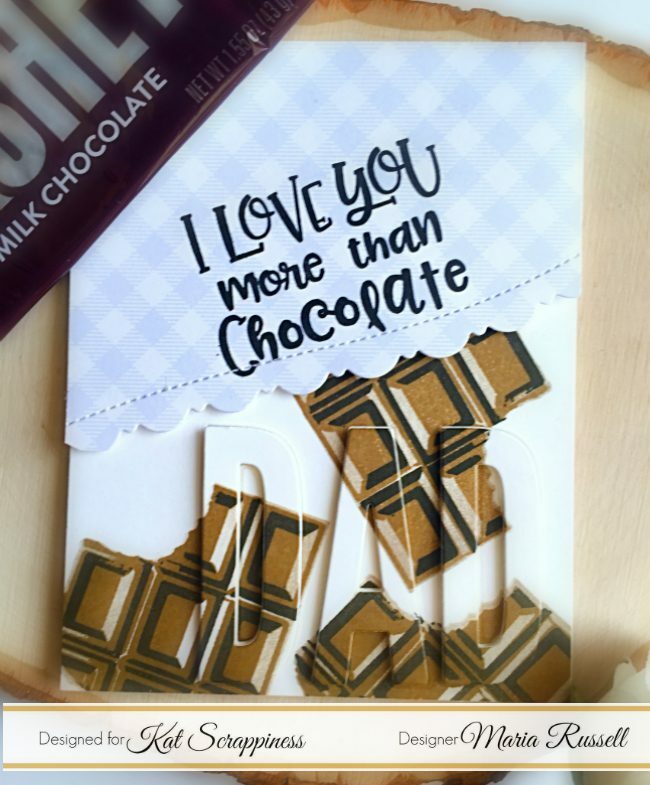 Maria here with you today sharing this Father’s Day card, showcasing the Condensed Uppercase Alphabet Dies, the Layered Chocolate Bar 6×8 stamp set, the Chocolate Lover’s Sentiment stamp set and the Fancy Scalloped Stitched Border Dies. I struggle with Masculine cards but I like how this one turned out. 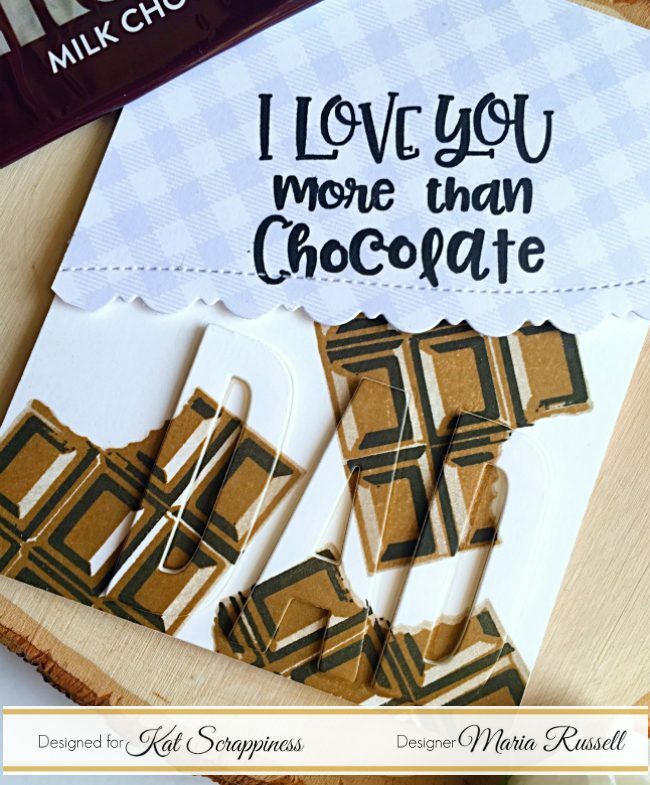 I stamped the chocolate images on Neenah solar white card stock, using 3 different brown inks. I die-cut a piece of patterned paper using the Gotta Have Gingham 6×6 patterned paper by Lawn Fawn with the larger die from the Fancy Scalloped Stitched Border dies. I hope you like my card today. I am sorry for being a bit M.I.A. on the blog or on YouTube. I am in the process of moving my household stuff from overseas, back to FL and I have been crazy busy lately. You will be seeing more posts and videos once I am settled in. Thanks for supporting Kat Scrappiness and for liking our videos and blog posts. The supplies I used are listed and linked below. Have an amazing day!